An F-16 Fighting Falcon assigned to the 18th Aggressor Squadron, Eielson Air Force Base, Alaska takes off prior to a sortie as part of Red Flag-Alaska 18-2, June 11, 2018. Red Flag Alaska provides large force employment training in a simulated combat environment. 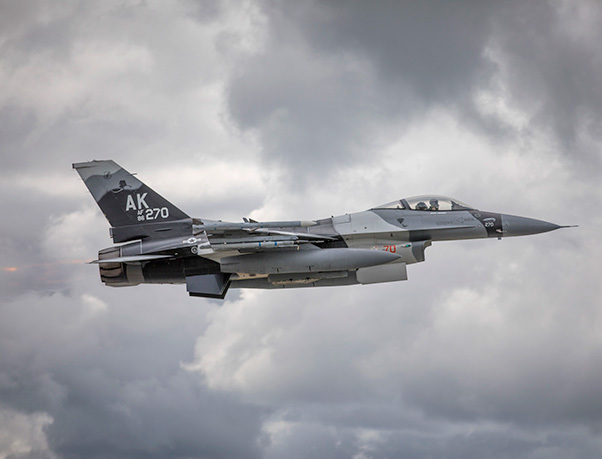 Red Flag-Alaska 18-3, a Pacific Air Forces-sponsored exercise designed to provide realistic training in a simulated combat environment is scheduled to begin Aug. 9 with primary flight operations over the Joint Pacific Alaska Range Complex scheduled through Aug. 24. U.S. Army and Navy aviators and Air Force Airmen are expected to fly, maintain and support more than 100 aircraft from more than a dozen units during this iteration of the exercise. In addition to U.S. aircrew, their counterparts from Australia, Canada and Great Britain are also scheduled to participate, enabling an exchange of tactics, techniques and procedures while improving interoperability with fellow airmen. 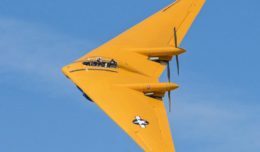 The majority of aircraft will be based at and fly from Eielson Air Force Base and Joint Base Elmendorf-Richardson, Alaska. Red Flag-Alaska exercises provide unique opportunities to integrate various forces in a realistic threat environment and dates back to 1975 when they were held at Clark Air Base in the Philippines and designated Cope Thunder. This iteration of RF-A marks the last of the 2018 calendar year.